Louis Ritter was among the first Americans to travel to Giverny and introduce Impressionist-inspired aesthetics to the United States. 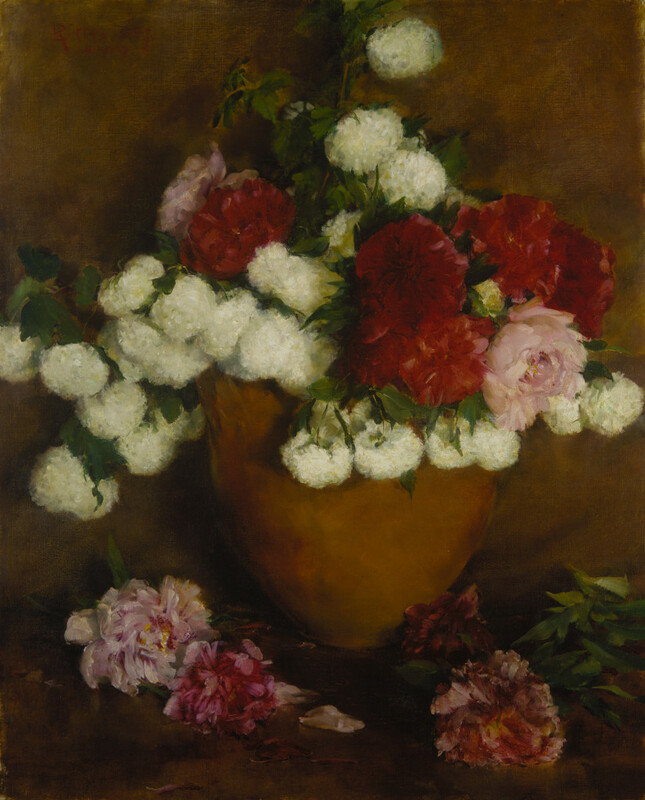 Ritter’s Flowers: Peonies and Snowballs, from the Terra Foundation for American Art is a large still life composition with strong forms and a vibrant palette. It is exhibited alongside John La Farge’s stained-glass window Peonies in the Wind. Featuring works by John James Audubon, the Peale family, William Michael Harnett, Georgia O’Keeffe, Andy Warhol, and others, this exhibition explores American still life from its beginnings in the late 1700’s to the Pop Art era of the 1960’s.